Kaz Cooke. Embarazada: la guía indispensable para madres primerizas. Barcelona: Ediciones B, 2002, 468 pages. Translated by Marta Pino Moreno. ISBN: 978-84-666-0799-5. 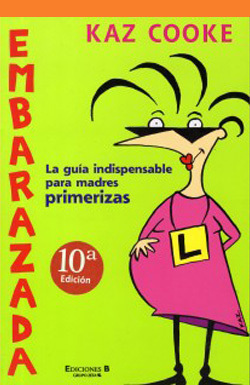 Spanish translation of the original title: Kaz Cooke. Up the Duff. Camberwell: Viking Australia, 1999. Published in Spanish by Ediciones B.